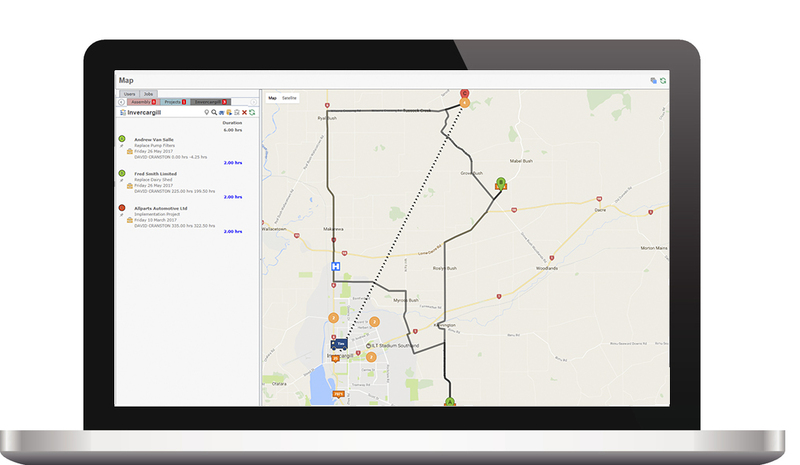 TimeTrak will help get your business back on track with powerful GPS tracking technology, at no extra cost. Unlike a standard GPS tracking device, our GPS tracker isn’t restricted to vehicles or vans; it works on any smartphone or tablet so you can monitor your field technicians across the entire work day. The Service Coordinator is able to check the arrivals and work of their mobile team from TimeTrak Professional on the desktop. User mapping functionalities is greatly enhanced with drill in options, booking by location, and the ability to build queues of jobs or tasks for your team. You can use user mapping to locate your nearest technician to a job. From within the User Maps screen in TimeTrak Professional users are able to see all Jobs, Tasks, Clients and Serviceable Units with saved Geo Locations in the map for selected dates. From within the Map itself those Jobs can have an appointment created for them. TimeTrak Mobile GPS tracker monitors your team wherever they are. As someone in your team is travelling toward a client site, you can monitor their progress, view to see which route they are taking, and see what their estimated time of arrival is based on their chosen route. A Service Coordinator can see if a field technician is travelling or on site, and using this information is better able to provide accurate information to clients when asked. TimeTrak Queues are a great new tool to simplify the service coordinators day. 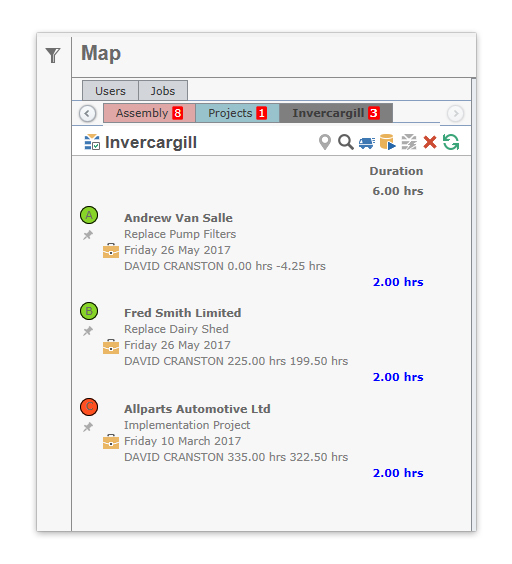 Integrating with the Users map, Jobs and Tasks can be placed into a Queue then rearranged into a logical order, if required. The Queue is visible in both the Maps screen and the Jobs panel, enabling items to be quickly turned into Appointments against a user. Copier, printer and management solutions to simplify your day. Synchronise data between MS SQL databases and files. Have you heard about TimeTrak Mobile yet?